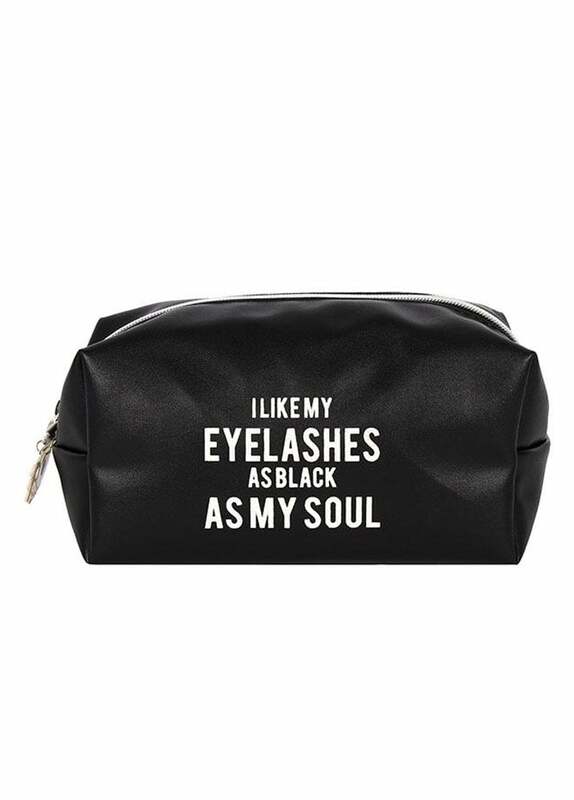 The As Black As My Soul Makeup Bag is a handy bag to keep cosmetics in. The black make up bag has an iridescent eye zippull and features a slogan print on the front. I like my eyelashes as black as my soul!